Liverpool - It certainly doesn't have the same ring to it as say London, Paris or New York and no doubt, it doesn't feature on most travellers Top 10 lists of places to see. I'm sure my early perception of it as a rather grotty industrial centre, sea port and home to the Beatles would pretty much have summed it up for most people. But scrape away several centuries of industrial grime and you'll find a proud World Heritage Listed city steeped in history. Settlement on the site of present-day Liverpool dates back to medieval times, but development was slow and unremarkable until the early 1700's. It was then that Liverpool's port started to become prominent with almost all the cities merchants engaged in the booming slave trade. As England entered the 19th Century, 40% of all world trade was passing through Liverpool's docks with ships carrying manufactured goods to Africa, slaves from there to the America's and returning laden with cotton, sugar and rum. By the mid-19th century much of the city was dirty, overcrowded and crime-ridden, comprised of thousands of small terraced houses with as many as a dozen families sharing a single toilet and water tap, the streets awash with young thieves and thousands of prostitutes. In 2016 it's a vastly different story. The city is abuzz, largely driven by the £1 Billion Liverpool One redevelopment, a world-class retail, commercial and recreational complex. 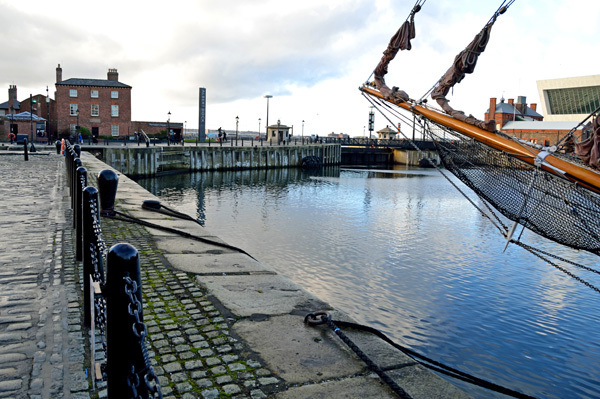 The port has been refurbished and where slavers formerly docked now modern luxury liners berth and the once state-of-the-art Albert Dock is an intriguing and popular tourist attraction. 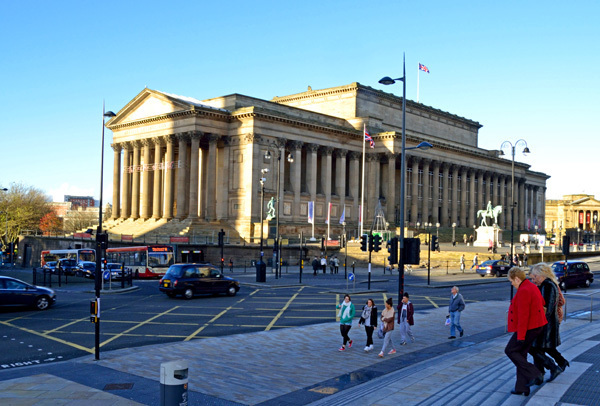 Nearby Pier Head epitomises Liverpool and is the home of the Three Graces, the Port of Liverpool Building, the Cunard Building and the world-renowned Royal Liver Building, three symbols of Liverpool's former wealth and maritime heritage. It's from Pier Head too that the famous 'Ferry Across The Mersey' operates regular services to Woodside and Seacombe on the opposite riverbank. 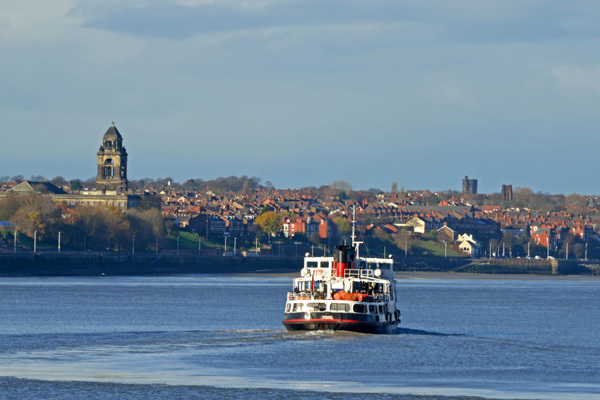 Immortalised by the Mersey beat band Gerry and The Pacemakers in 1965 the first ferry across the Mersey dates back centuries when Benedictine monks at Birkenhead Priory shuttled passengers across the river in rowboats. The Priory was closed in 1536 by Henry VIII, but growth around Birkenhead continued and over the century's industry and residential areas developed on a grand scale. Steam ferries were introduced in the 19th Century and the first tunnel under the Mersey, the Queens Tunnel, was opened in 1934. 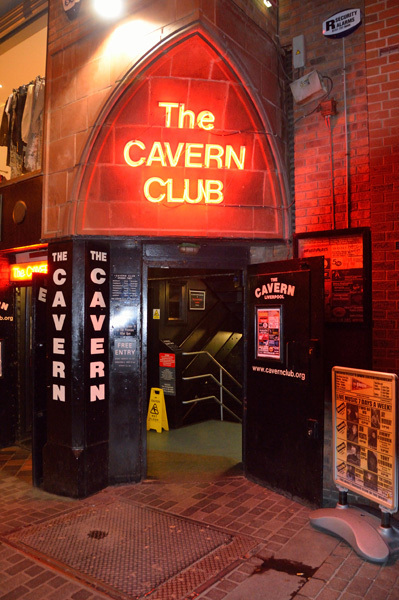 A trip on the Mersey Ferry is a 'must do' for visitors to Liverpool and another, particularly for 'baby-boomers', is a visit to Mathew Street and the home of the Beatles, the Cavern Club. 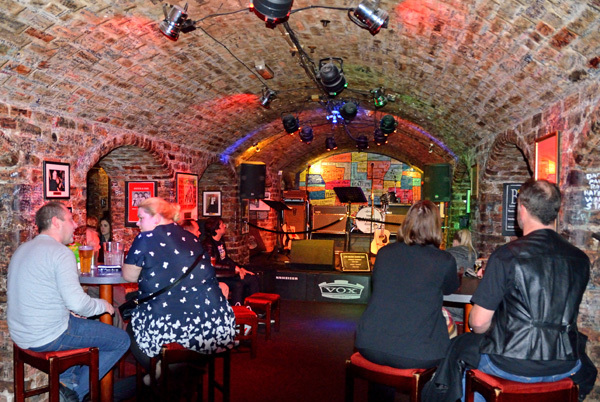 Though not the original, drinking beer and singing Beatles songs raucously and usually out of tune in the replica club is a rite of passage for many. Being an Aussie, I'm obviously very interested in Liverpool's close links to Australia, and there are plenty of them. 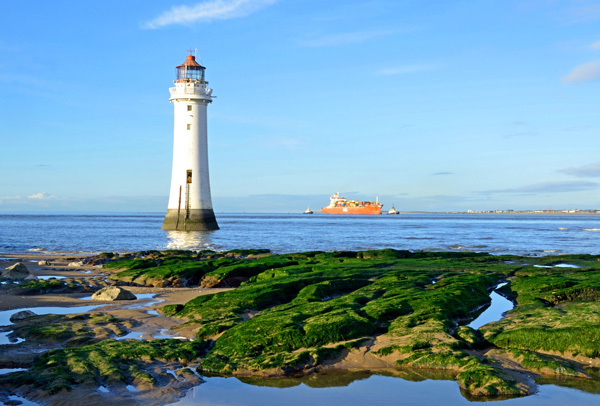 Over the centuries large numbers of British immigrants and countless ships have departed Merseyside for the colonies. The clipper TICONDEROGA departed Liverpool for Melbourne on 4th August 1852 carrying 795 passengers and 48 crew. Three months later, on 5th November, TICONDEROGA hove-too off Point Nepean, just inside the entrance to Port Phillip heads, a death ship flying the yellow quarantine flag. In the ninety days since departure, 93 passengers had died of typhus and further 7 would die at anchor before they could be taken ashore. 443 more were ill with fever, diarrhoea and dysentery and a further 70 deaths were recorded in quarantine before the survivors finally arrived in Melbourne on December 22nd 1852. Another, the CATARAQUI, left Liverpool on 20th April 1845 bound for Melbourne with 411 passengers and crew. Just days from her destination, she was dashed onto rocks off the west coast of King Island. Searchers found only 9 survivors from what remains Australia's worst ever maritime disaster. Then there was the Confederate warship SHENANDOAH. She sailed into Williamstown, near Melbourne in January 1865 for urgent repairs and created a diplomatic storm by recruiting locals as crew. After 24 days in port, SHENENDOAH sailed into the south Pacific and plundered American shipping north all the way to the Arctic Ocean. When her Captain learned of the surrender of the Confederacy he elected to sail to Liverpool, once the unofficial home of the Confederate Navy, rather than be taken as pirates' by Union forces. On 6th November 1865, SHENENDOAH, her Confederate flag at the masthead, steamed up the Mersey and surrendered to the Royal Navy, the last Confederate combatant to strike its colours. No, it may not have the same ring to it as London, Paris or New York bit with its hugely significant maritime history Liverpool, the World Capital City of Pop, a former holder of the title European Capital of Culture and Britain's 'second city' is well worth a visit. www.visitliverpool.com is a very comprehensive and informative communication providing a fantastic selection of things to do, places to explore and regularly updated lists of exciting events. Why? 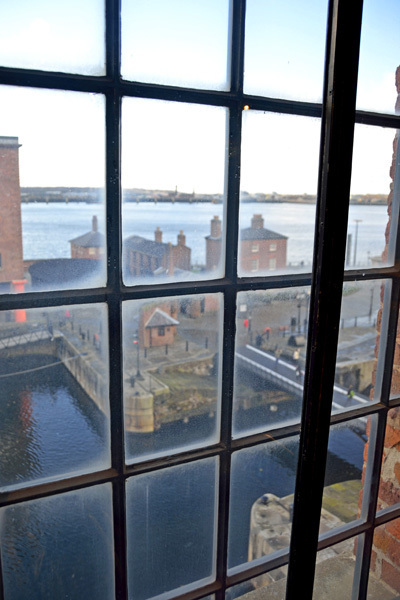 Liverpool boasts the largest collection of museums and galleries in England outside London. Combine this with the cities unparalleled maritime history and you've got yourself an incredible destination to visit and explore. When: Anytime is a good time to visit Liverpool. Cost: Varies for individual attractions and services.